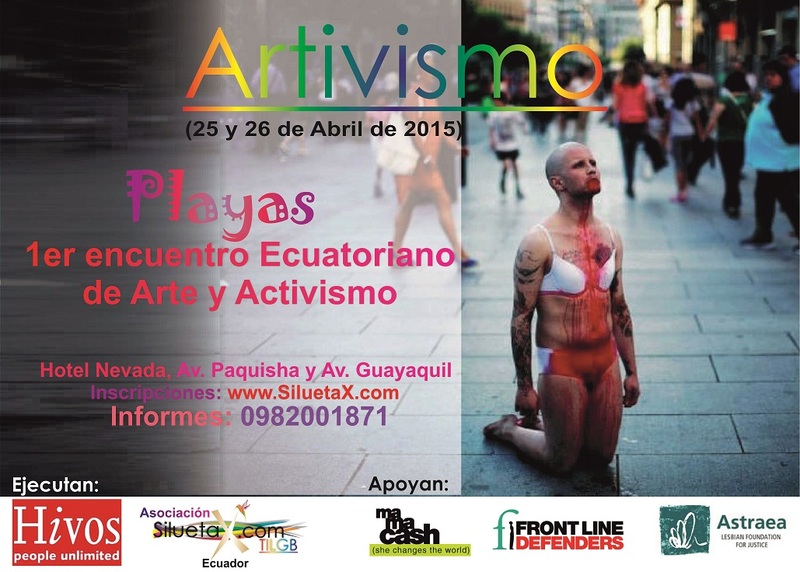 Our aim is to position the artivism in Ecuador as an alternative to social disobedience, citizens questioning, rights demands, demands for justice without violence (Martin Lutherking: civil disobedience but not violence). The meeting is given for 25 and April 26 at the Hotel Nevada Playas (Av. Paquisha and Guayaquil). Reports to 0982001871. enclose the agenda.